Want a dinner that’s easy to throw together with just a couple pantry items? This Bacon Cheeseburger French Fry Platter is just the thing. 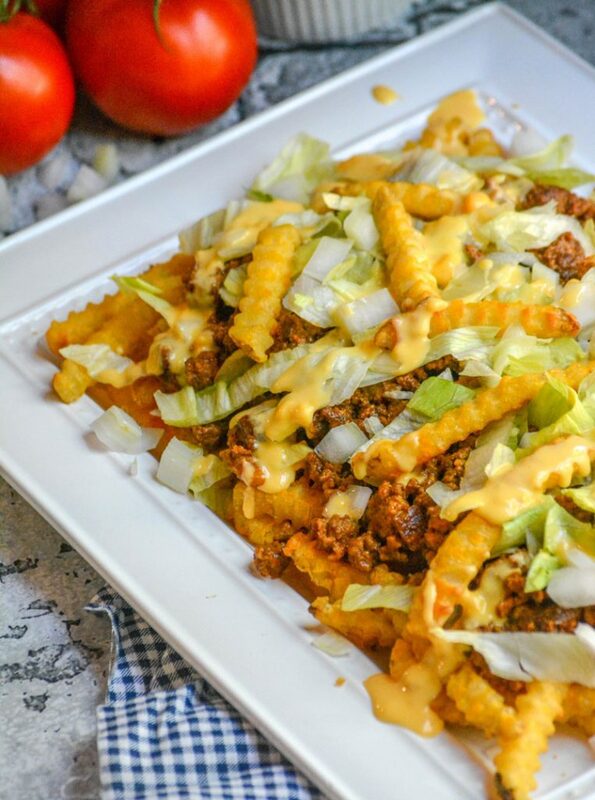 It’s like nachos, but with french fries and bacon cheeseburger flavored. 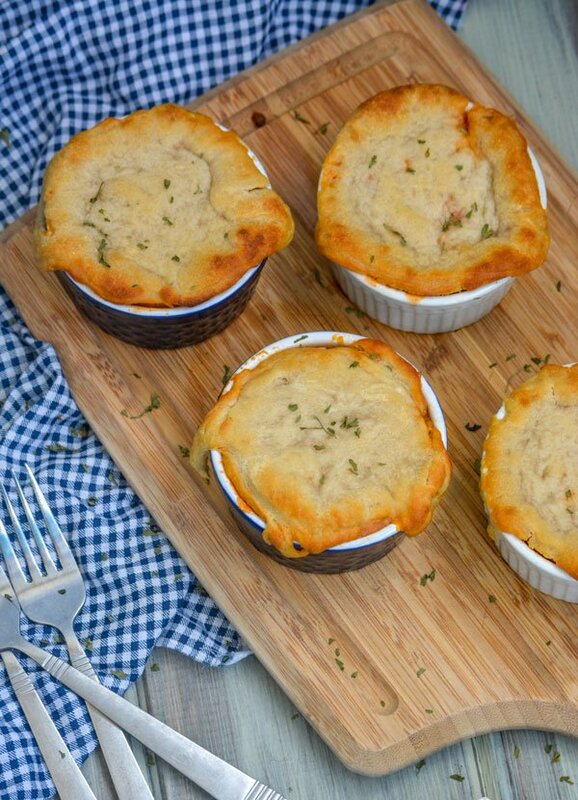 Whether feeding a crowd, or just trying to feed your own herd- this dish fits the bill! 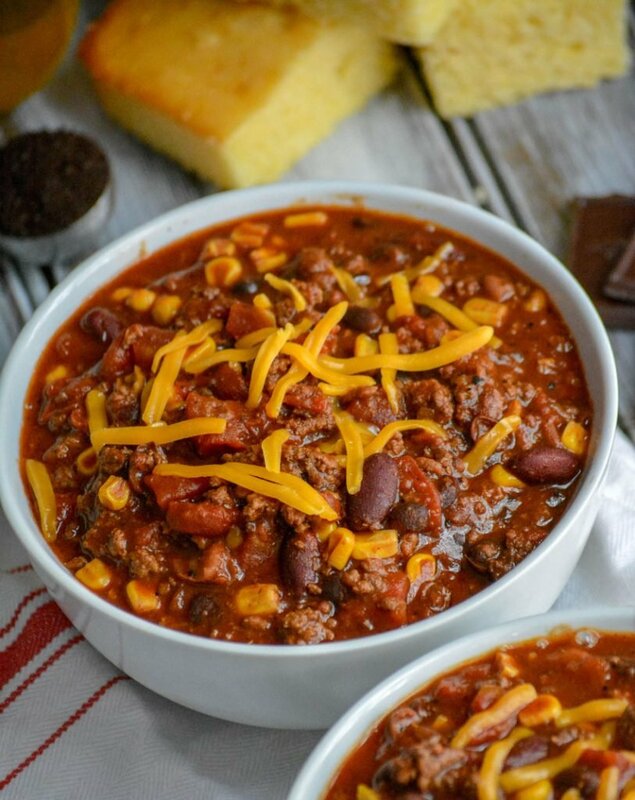 Dad’s award winning secret ingredient chili is a hearty chili full of big flavors and a couple unexpected secret ingredients. This one pot chili takes only 15 minutes of active prep time before simmering away on the stove top to create a satisfying bowl of coziness. 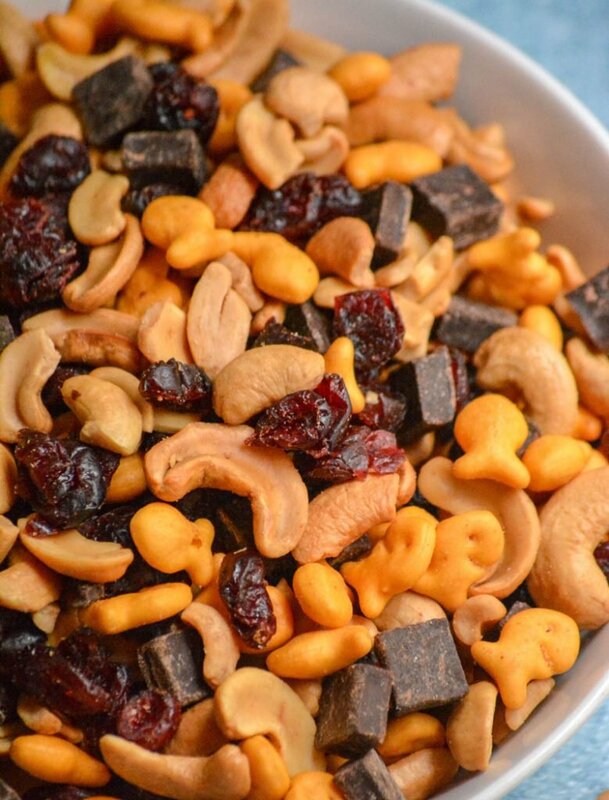 A little bit sweet with dark chocolate chunks and dried cherries, and a teensy bit salty from mini gold fish crackers and salted cashews- Mom’s Fancy Sweet & Salty Trail Mix is an addictive snack mix. Five minutes is all you need to whip up a batch! 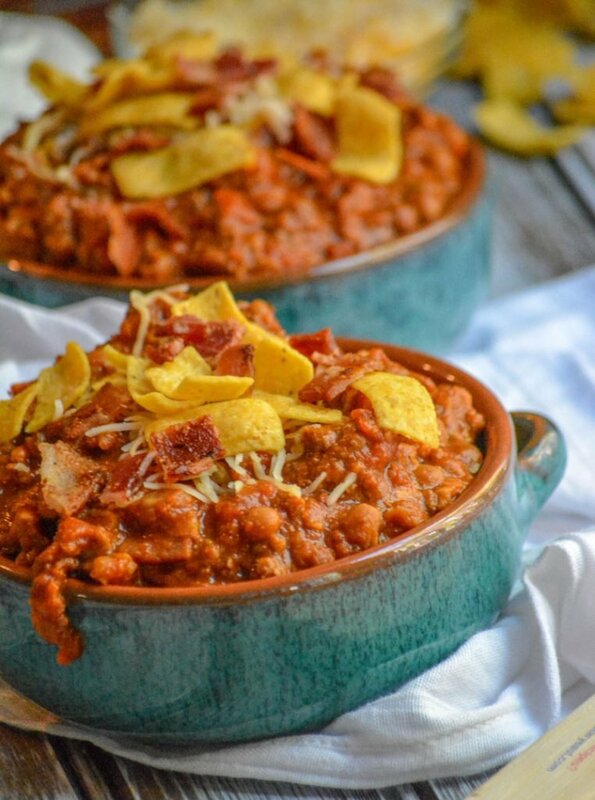 Crumbles of cooked beef, crisp bacon, and a baked bean base- it makes for an amazing chili. Don’t knock it until you’ve tried it! This Ground Beef & Bacon Baked Bean Chili is so good, and a recipe you’re gonna want to add to your repertoire. 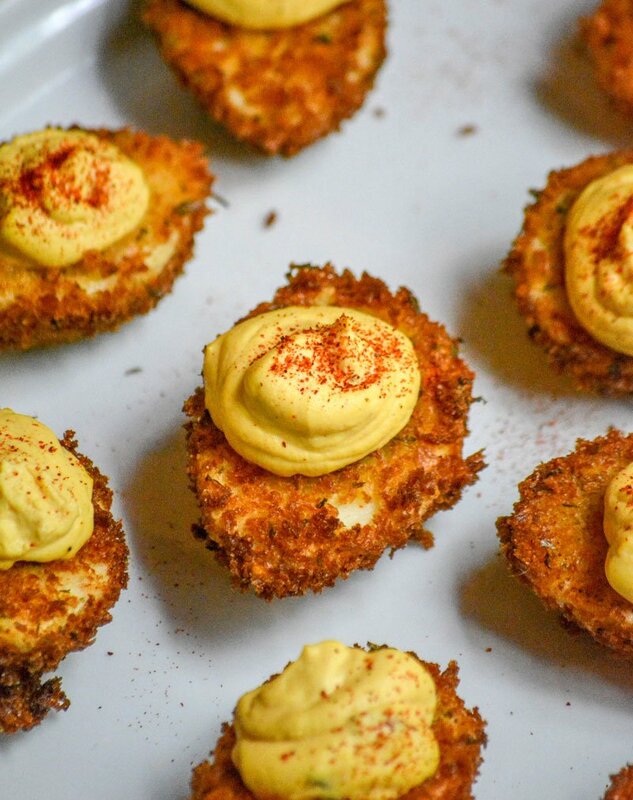 A crisp Panko breading that’s been tossed with gumbo file, salt, and pepper, coat every one of these crispy deviled eggs. Piped with a smooth Cajun spiced filling, they’re then sprinkled with smooth smoked paprika for the full effect. Our Cajun Style Fried Deviled Eggs are the real deal when it comes to finger foods or appetizers. 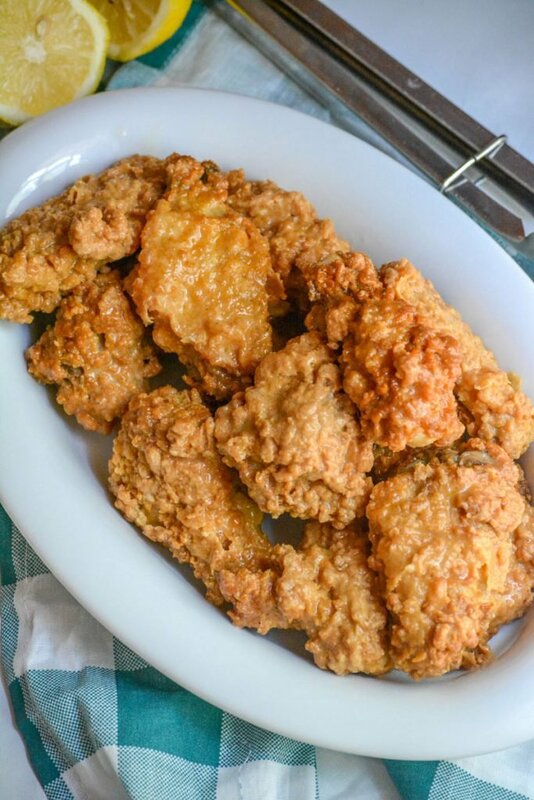 Wings are a perfect game day appetizer, or even a quick lunch or dinner idea. These Buttered Lemon Pepper Chicken Wings are perfect for whatever time of day you decide to serve them, and quick/easy enough- that even at the last minute, they’re still a yummy option! 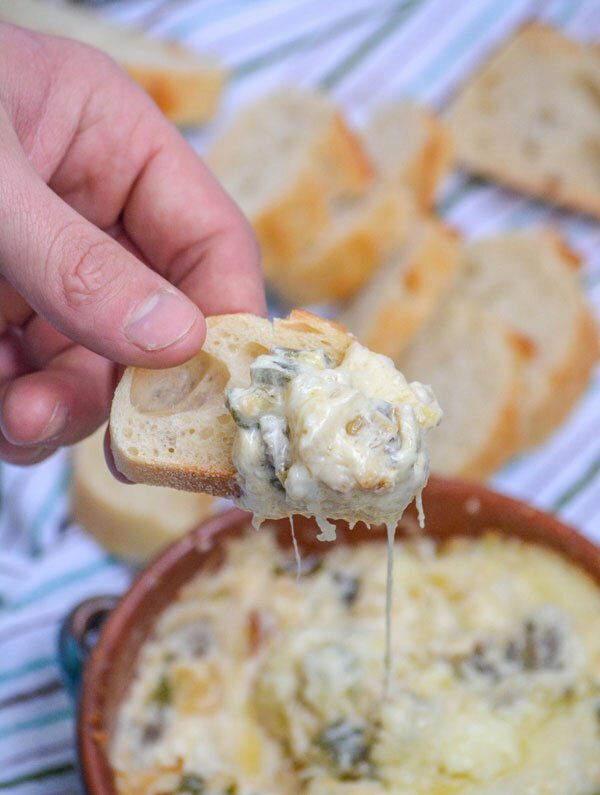 A cheesy, creamy appetizer, this Philly Cheesesteak Dip is easy to whip up and was born to be a fan favorite. A rich cream cheese base is studded with chunks of grilled steak, sauteed green peppers, and white onion for a dip that makes a great appetizer, but could easily make a meal for a smaller crowd. 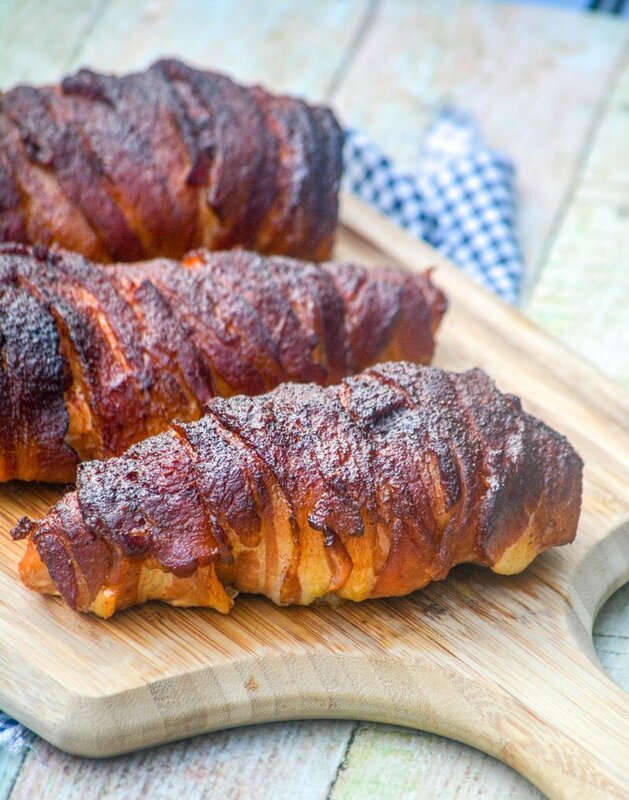 An easy way to get a flavorful, low budget meal, these Sweet Heat Bacon Wrapped Smoked Chicken Breasts are the way to go. They’re the perfect set it, and forget it kinda deal. Every party and barbecue has one thing in common, a good dip as the star of the show. This Cheddar Bacon Ranch Dip is destined to be the hit of your next get-together. A creamy, ranch seasoned base is laced with tangy sharp cheddar and crisp, savory bits of bacon. It’s simple, easy, and the dip to end all dips.